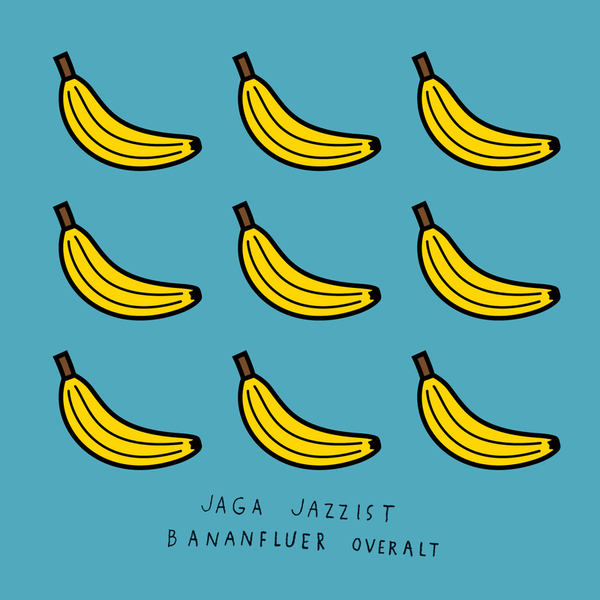 Norwegian prog-jazz nontet Jaga Jazzist return with a new EP lifting 'Bananfluer Overalt' from their One Armed Bandit album. 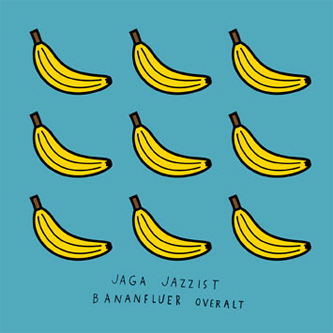 It's a spectacular onslaught of musicianship and compositional detail that finds the ensemble on top form, but adding value, along come a slew of Scandinavian remixing talents: skweee scenester Sprutbass offers a great overhaul of 'One Armed Bandit' translating the central instrumental theme to a barrage of phosphorescent synthesizers. It's terrific stuff, and likewise the FINAL take on '220 V Spectral' ventures into bass-cranking dancefloor territory, dispatching a hint of disco along the way. After a fine and bleepy version of 'Touch Of Evil' courtesy of Cuckoo, Prins Thomas gives the EP's title track a swinging, easy going cosmic disco rendition.